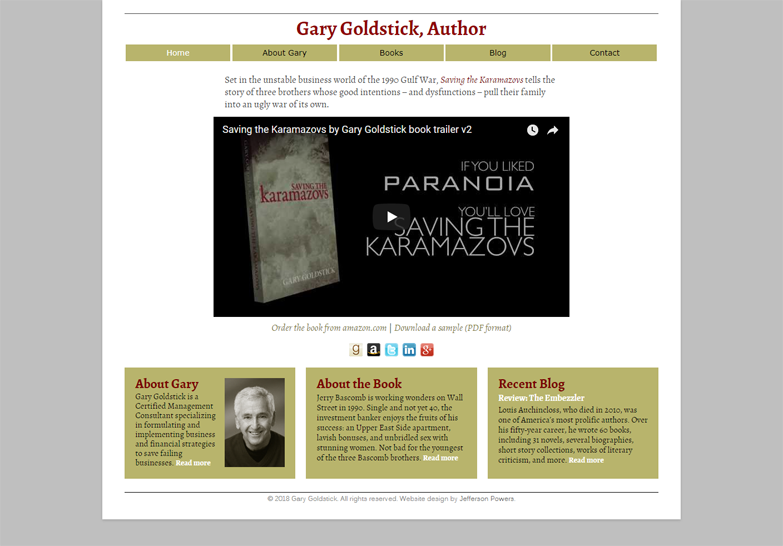 Gary needed a new website to replace two previous websites, one detailing his professional background and another promoting his first novel. The primary focus of the new website is the novel, but he wanted to be sure to include some of the background material from his professional site. 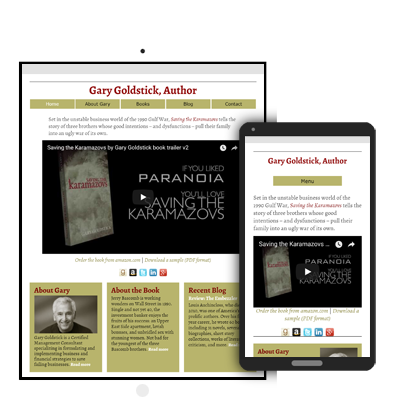 We organized and re-wrote the content from the two sites that we wanted to keep, and I created a simple, clean design that would get information about Gary and his book to the viewer quickly and easily. I also incorporated a video trailer for the book, as well as Gary’s new blog on business fiction.